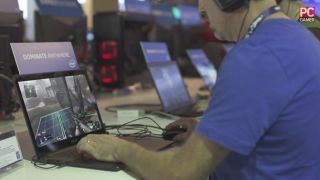 Evan stopped by the Intel booth at PAX to talk about the 3K and 4K laptops on display, and what kind of gamer might want one. He also picked up an ASUS ROG GL551 laptop, which we're getting signed by everyone we interview at PAX (Chris Roberts and Tim Schafer among them so far)—we'll be giving it away to a reader next week! Absorb all of our stories from PAX Prime .